Your floor is beautiful. We can help you keep it that way. Go ahead. Sweat on it. Skid on it. Run all over your floors. With these superior gym floor cleaning products, your gym floor finish will always be ready for more action. 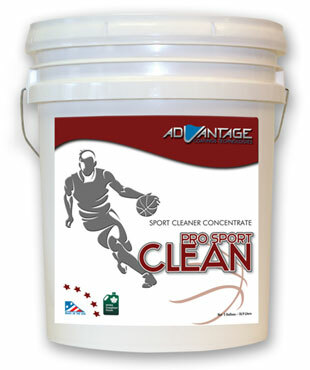 Performance Sport Clean is a sport floor maintenance cleaner, equally easy to use with a mop or in an auto-scrubber. Performance Sport Clean aggressively removes black marks and dirt without dulling the sheen of the floor; an environmentally friendly, efficient way to maintain Advantage Coatings Tech’s premium high gloss sport finishes. Sport Scrub prepares wood sport floors by removing contaminates and aggressively cleaning prior to recoating. 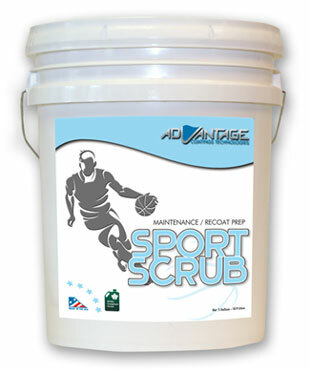 Use Sport Scrub with Advantage Coatings Tech’s waterborne and oil-modified gym floor finishes. It is a quick and easy system that works with an auto-scrubber or mop.